How Far is Hiranandani Estate Spring Hill? 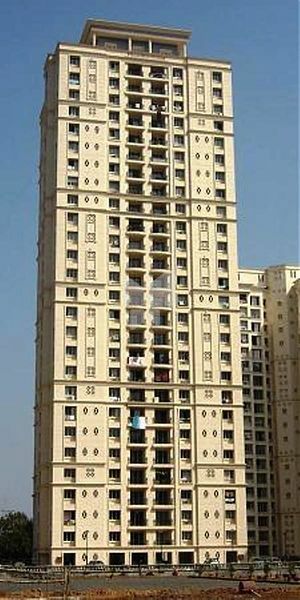 Hiranandani Estate Spring Hill, located in Thane West, Thane is yet another Project of Hiranandani Builders. Hiranandani Estate Spring Hill is the part of Hiranandani Estate which is a condominium-styled township built by the Hiranandani Group. The township has been developed in accordance to the concept of live-work-play, as a result of which it incorporates a major Business park ( Hiranandani Business Park) where many of the residents work, major shopping enclaves as well as luxurious residences all within the township limits. Specifications - Hiranandani Estate Spring Hill Modern township – Best in Thane , at par with Hiranandani Gardens , Powai. Quality construction. Crafted by eminent architects for ergonomics and aesthetics. High Carpet Area. External walls designed for heat insulation and weather resistant interiors. Concealed copper plumbing with hot and cold water mixers and heaters in toilets and kitchens. POP on walls and ceilings. Heavy section Aluminum anodized windows. Granite kitchen platform with stainless steel sink. 100% acrylic paint on external walls for a long life. Instant telephone connection. Chemical water proofing systems and anti-termite treatment. Equidistant from western , central & trans harbor suburbs. Elegant marble flooring. Excellence in concrete quality maintaining high grades to ensure low maintenance costs and a long life. Four lane concrete roads. Wide tree lined avenues with gardens & parks. Air and Noise Pollution devoid zone. Access from Eastern Express Highway and access from Western Express Highway. Approach road 120 m wide 8 lane. Widest in Mumbai city. 3 Banks and ATMS – UTI , Indian Bank , Andhra Bank. 50 shops in shopping area. Food Courts – Spice Up , Monginis.